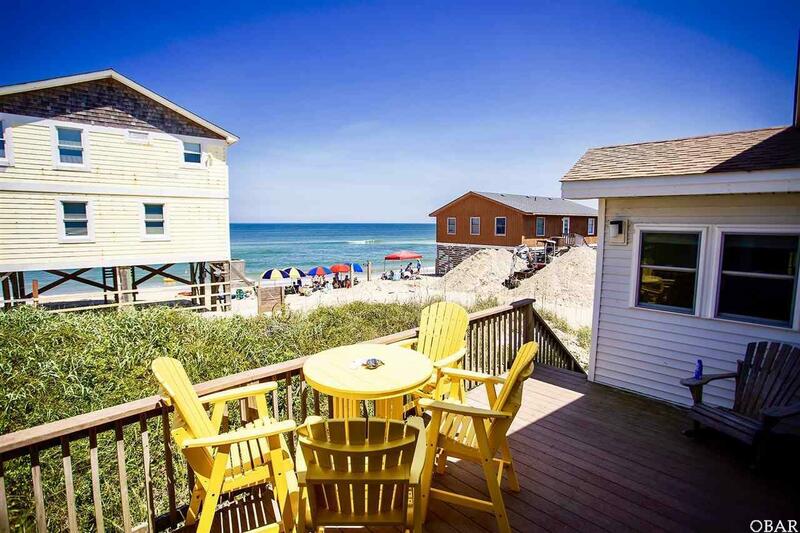 Enjoy the Sunrise, the Smells of the Ocean, and the Sound of the Waves on this Updated Semi-Oceanfront Home. 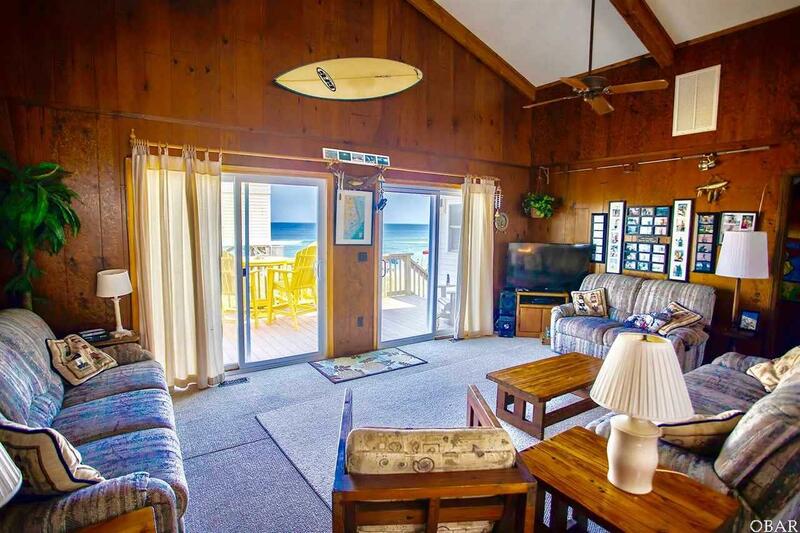 Oceanfront Views with less risk of owning a home directly on the Beach. Make your own Memories in this 4 bedroom home with fabulous views and an updated kitchen. 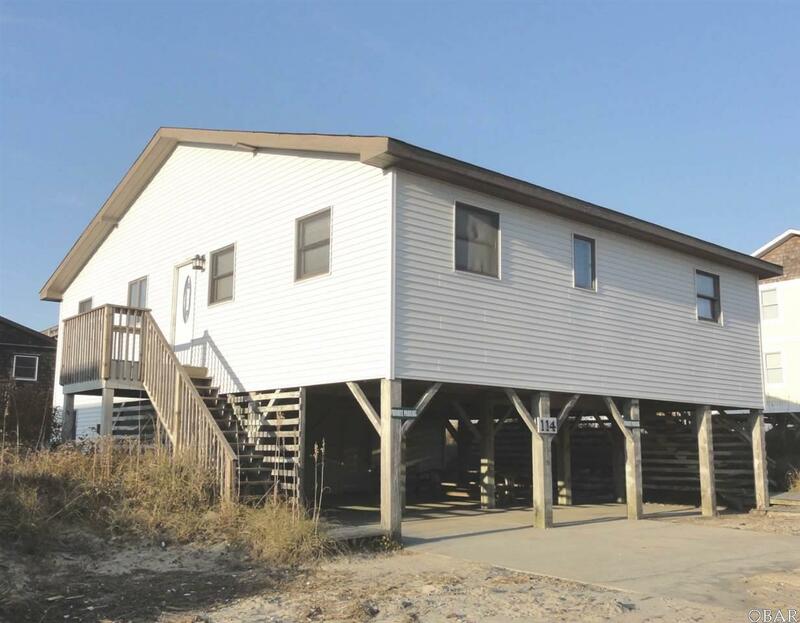 "May Daze" is located in a quiet area of the highly desirable area of South Nags Head and has a tall sand dune in front of home for extra protection. Outdoor shower, Fish cleaning station, and plenty of parking spaces will accommodate your rental guests or family members. There are No Roads to Cross and you are only a few steps to your own direct beach access. The open layout features a comfortable kitchen with new granite countertops, dining and living room all with ocean views and deck access. Open the sliding glass door & step outside onto the sun deck and enjoy the fresh ocean breezes Featuring the traditional H floor plan, the Fully Furnished "May Daze has two bedrooms with ocean views and queen beds as well as two additional bedrooms, one with two twin beds and another with a pyramid bunk. Both sides of this delightful beach bungalow have full sized hall baths, one with a standalone shower and the other a shower/tub combo. 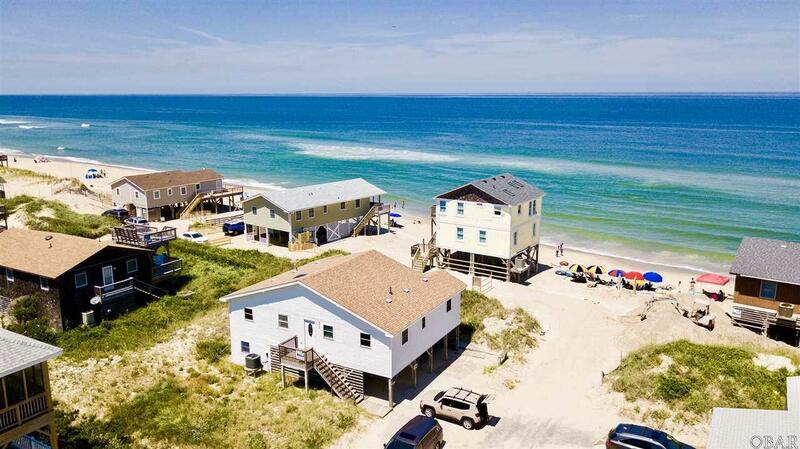 Beach Re-Nourishment is scheduled for 2019 and should add up to 100 yards of extra sand and beach in front of this home. Kitchen was remodeled in 2011, Roof was replaced in 2012, Windows in 2017 and HVAC was replaced in Jan. 2018. Proven Rental history that could generate even greater returns if that is your main goal. Owner uses the home often and lets friends & family use it limiting the potential for higher returns. Home is rented often and may only be available to view on turnover day which is Saturday. Don't miss out on this affordable home with LOTS of potential, Fabulous Location & Views. "May Daze" is grandfathered into an AE Flood zone and has very affordable flood insurance which is transferrable.